The Board of Commissioners of the Richmond Redevelopment and Housing Authority (RRHA) has concluded its nation-wide search for a Chief Executive Officer and is pleased to announce that Adrienne E. Goolsby has been named the new CEO of the Richmond Redevelopment and Housing Authority. Goolsby was selected from a field of more than 130 potential candidates. “Adrienne is a proven leader in effective public housing transformation and has a remarkable track record in key areas of strategic planning and partnerships, policy formation, redevelopment, relationship-building, financial growth and development, and organizational management and leadership ­­--- everything we were searching for in a new CEO,” says James Carleton, Chair of the RRHA Board of Commissioners and the CEO Search Committee. Goolsby will officially join RRHA on April 23. “I am honored to have the opportunity to serve the Richmond Redevelopment & Housing Authority, RRHA community members and the City of Richmond in such a significant capacity. RRHA has positioned itself throughout the years as a catalyst for quality, affordable housing and community revitalization and I envision an even more vibrant and prosperous future for RRHA and the many families and individuals the authority serves,” says Adrienne Goolsby. Goolsby has vast insight, knowledge and expertise in the successful development, management, and leadership of public housing. She served at the Chicago Housing Authority (CHA) for 11 years, most recently as an Executive Vice President and Liaison to the City of Chicago’s Mayor’s Office, where she functioned as a proactive problem solver and relationship manager between CHA and the Office of the Mayor from 2009 to 2012. Prior to that, Goolsby served as CHA’s Chief of Staff/Chief Operating Officer from 2004 to 2008, and Managing Director of Internal Support from 2001 to 2004. As Chief of Staff for CHA, Goolsby was responsible for achieving the housing authority’s strategic mission and vision. Her strategic management style and leadership ability was an essential component that drove CHA’s Plan for Transformation, one of Goolsby’s major accomplishments. Goolsby’s responsibilities included managing the oversight and execution of the Chicago Housing Authority’s $1.5 billion Plan for Transformation, an ambitious plan that called for the demolition of Chicago’s notorious high-rise developments, the comprehensive rehabilitation of scattered-site, senior and lower-density family properties, and the construction of new mixed-income/mixed-finance developments. The Plan operated under the guiding principle of comprehensively integrating low-income families into the larger physical, social and economic fabric of the city. Goolsby also built CHA’s business development capabilities to target Minority and Women-owned Businesses and Section 3 businesses. CHA is the third largest housing authority in the nation, providing homes to more than 50,000 families and individuals. It also oversees the administration of 36,900 Housing Choice Vouchers. Prior to joining the staff at CHA, Goolsby was co-founder and Executive Vice President of Business Development and Marketing for Ethcentric, Inc. where she developed multicultural marketing and sales strategies for Fortune 500 corporations. Before that, Goolsby worked at McKinsey & Company -- a global management consulting firm to the world’s leading businesses, governments and institutions – as a Business Analyst and later as an Engagement Manager. During her six years at McKinsey, Goolsby generated strategies that increased profits for her clients in various industries. Goolsby holds an MBA from the Kellogg Graduate School of Management, Northwestern University, a B.S. in Manufacturing Engineering from Boston University, and a B.S. in Chemistry from Spelman College. 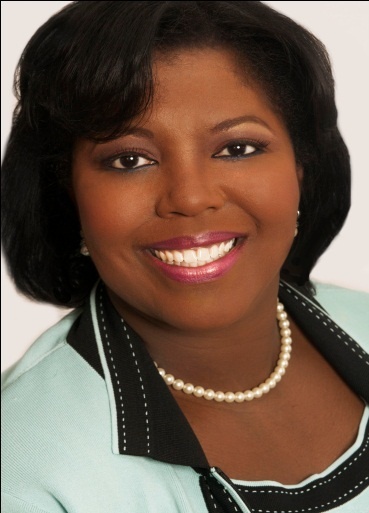 She is a current Board member of the Youth Service Project and a former member of the Chicago Housing Authority Pension Board, Chicago Housing Authority Audit Committee, and the Chicago Mayor’s Council of Technology Advisors. Goolsby has been recognized in various publications as a leader and motivator, including Chicago Crain’s Business and Today’s Chicago Woman. She was also featured in a 1990 Ebony Magazine article titled “In Pursuit of Excellence,” alongside then Harvard University law student Barack Obama.